and made with simple ingredients. It is a delicacy from the state of Rajasthan in India. 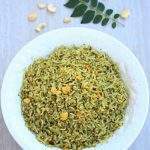 Jaisalmeri Chana, is such flavorful side dish for roti or rice made with very basic ingredients. 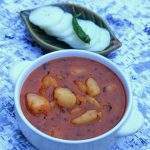 This a very famous recipe from the state of Rajasthan. 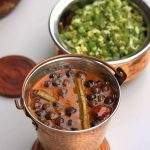 Rajasthan has arid climatic conditions and most of the delicacies from this state is made with ingredients that is easily available in the region and also would not spoil quickly in the hot weather. This recipe uses black chickpeas which is very high in protein. Being vegetarian I am always looking out for protein sources. 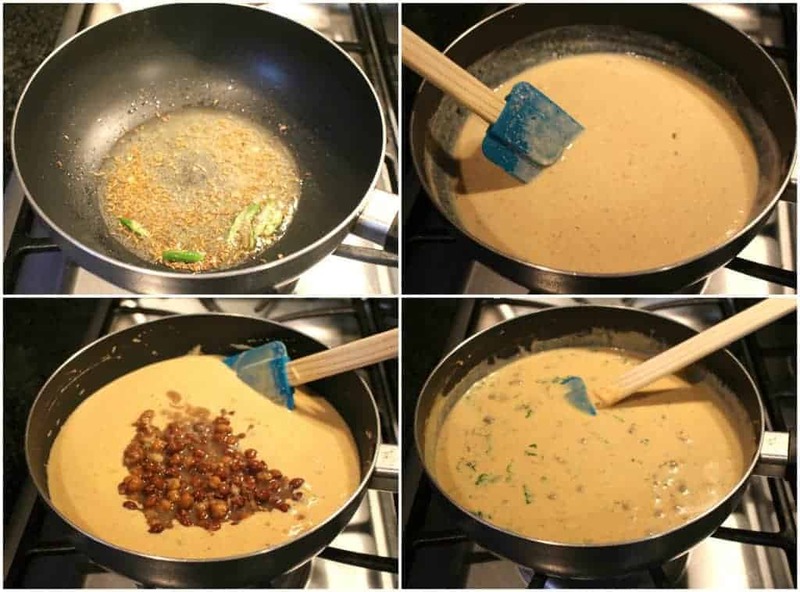 This recipe not only has one but two sources of protein, the yogurt which is the base for the gravy. This can also be called the Kala chana kadi as it resembles very closely to the kadi. This recipe is my first for this week’s BM under the Lentil sides and salads theme. I saw this recipe in a group on Face book and had it bookmarked from there. After Navarathri, there is always an excess of dried beans in my house and that keeps me busy for the next few months. 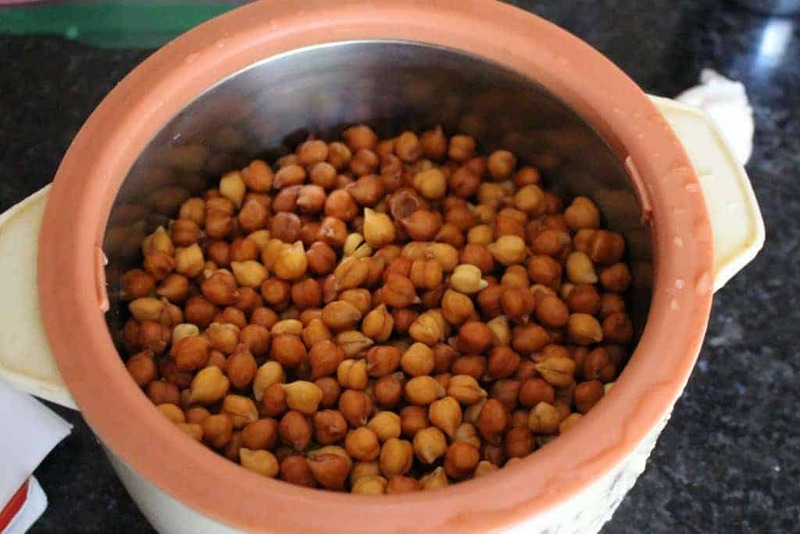 This Jaisalmeri chana recipe was the perfect one to use up a little bit from my stock. I also have an affinity to Rajasthani Cuisine for its simplicity and flavor. 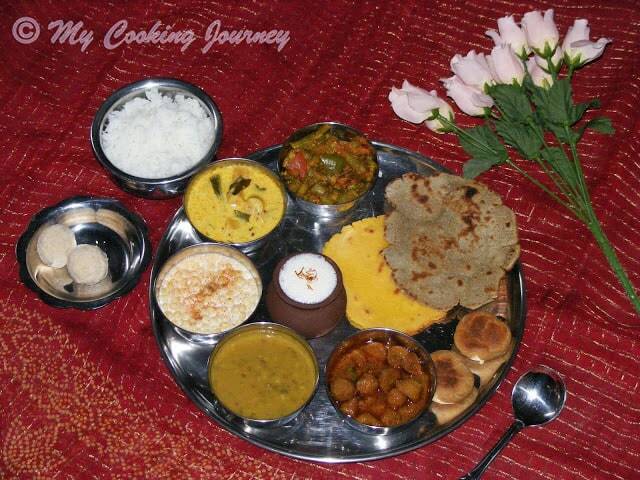 I have made an extensice Rajasthani Thaali, which has many delicious dishes from the state. My thaali consisted of Goond Ki laddu, Baati, Dal, Panchmel Subzi, Gatte ki Kadhi with rice, Dhana wadi/Moong wadi curry, Bajiri ki roti, Makkai ki roti, Matta/Boondi chaas and Kesar malai Lassi. 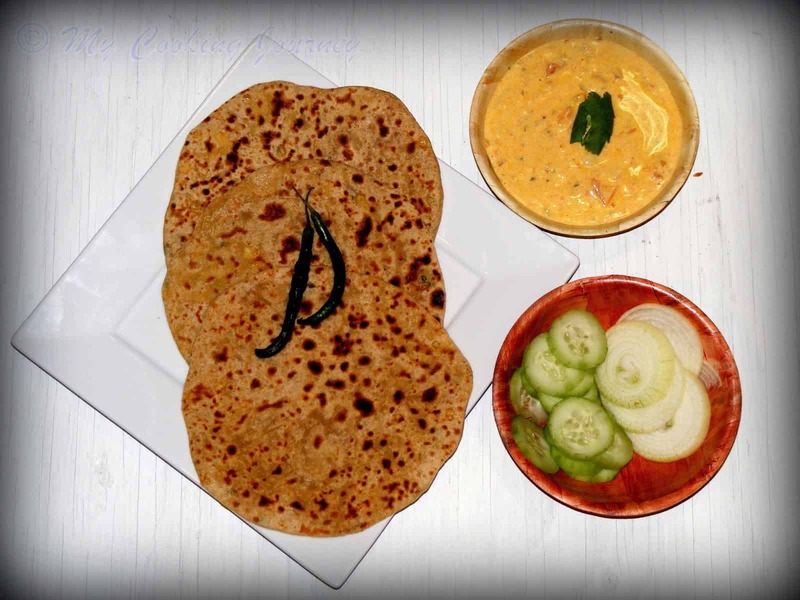 My other personal favorite is the Bikaneri Chana dal Paratha. It is a meal in itself and a very protein filled recipe. 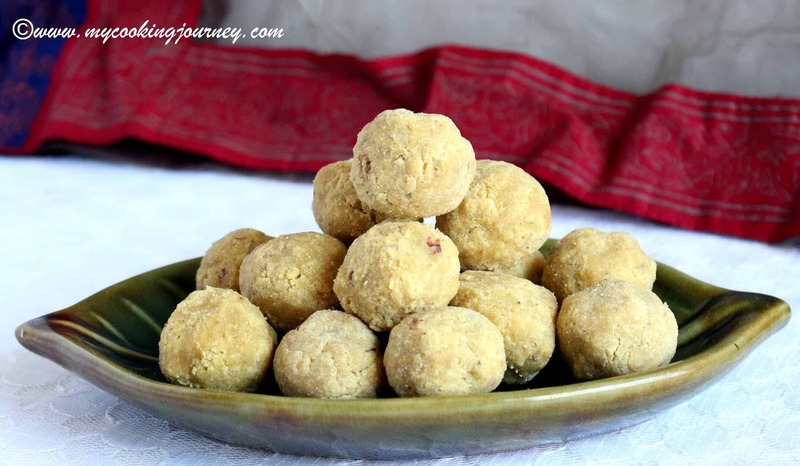 When we are checking out the recipes from Rajasthan, let’s not miss on the Moong dal vada. It is a very quick and easy appetizer made with Green gram lentil. Again it is a protein packed recipe. We should not be forgetting the dessert and it happens to be a very flavorful one. Lapsi, made with broken wheat and jaggery is very famous in the region and is known for its long shelf life in the hot weather. Wash and soak the black chickpeas for 6 to 8 hours. Change the soaking water and add fresh water to immerse the beans. Cook the chickpeas in a pressure cooker with enough salt for 4 to 5 whistles. The black chickpeas takes longer time than the white ones to cook. Whisk the yogurt and add about a cup of water to it. Add all the dry ingredients; besan, red chili powder, dhania jeera powder, turmeric powder, and just enough salt. Remember that the chickpeas is cooked with salt, so just add enough salt for the yogurt. Whisk it well to clear any lumps and keep it aside. In a pan, heat the ghee/oil and add the cumin seeds. Let it crackle and then add the asafetida and green chilies. Let it fry for about 15 seconds. Add the whisked yogurt mixture to the pan and mix well. Let it come to a boil and then simmer for about 10 minutes. Now add the cooked chickpeas and mix well. Adjust the consistency of the gravy by adding more water if needed. Let the subzi simmer for 10 more minutes for the flavors to combine. Garnish with cilantro and serve hot with roti or rice. 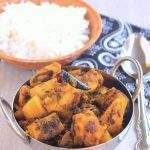 These channas look absolutely fantastic , would love to enjoy them with that bowl of rice . Rajasthani Cuisine has amazing flavours and these channas are a perfect example , very well made . Chana looks delicious and can imagine the flavors as I once made for Rajasthani kadhi with kala chana. Will check out your thali as well. Wow, that looks so delicious and it’s totally new to me. Will gonna try it for sure,bookmarked it. That looks like a very flavorful and delicious dish. 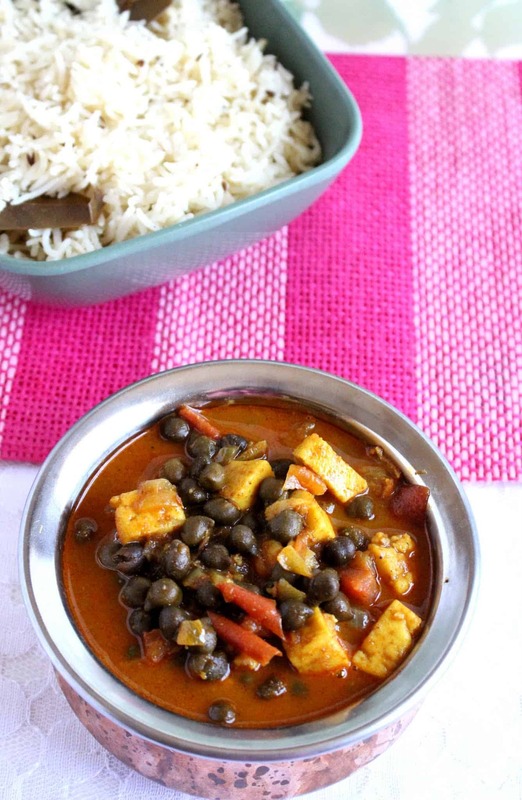 Seriously i love this dish very much, nutritious and fantastic dish to make quite often. 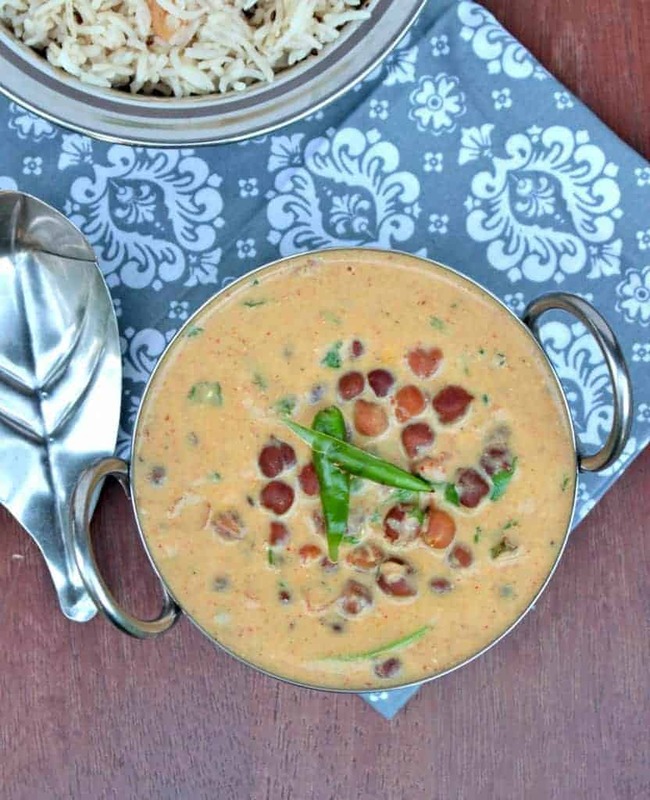 That is such a fantastic idea of making kala chana kadhi. I am so making it soon. Such a lovely combo.. Tempts me to try out soon.. Totally new to me, as well as a few of the spices. However the spices that I do know work so well together. I bet this is quite tasty. 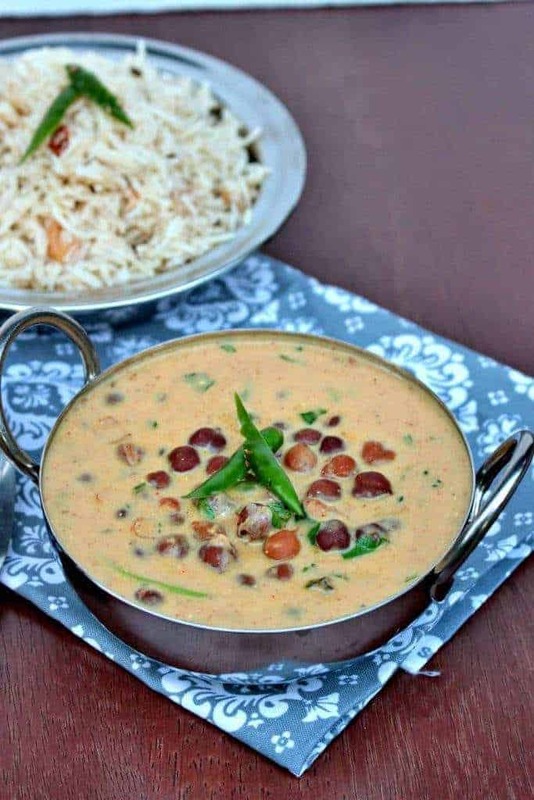 Have never tried black chickpeas I guess they taste really good because I love Chana Masala and this looks very close to that dish just creamy. Love Indian food one of my favs. I had never heard of black chickpeas before! Are they easy to find? Sounds delicious. This would be hugely popular in my home! I have never tried black chickpeas, but they look so gorgeous in that gravy, a lovely contrast. The flavor looks out of this world. Never had black chickpeas before, can’t remember ever seeing them in the stores here. Will have to keep my eyes peeled for them. This recipe sounds absolutely delicious! This sounds like such a flavorful dish, and your directions are so clear and easy to follow. Thanks for this recipe! Not familiar with this dish but looks too tempting. Creamy, flavorful dish is one of my favorites. I do not get black chickpeas but I so would make this with any other like the white. I love channa masala and this reminds me of that. A totally different recipe I know with the yogurt and all. Saving this for later. I love chickpeas but didn’t even know there was a black variety. Now I’m on the hunt! This looks delicious! I’ve never made or had these before, but this is such a delicious idea! Looks amazing. I definitely want to try it out soon! I’ve never heard of black chickpeas or yogurt gravy before. It sounds like a flavorful dish with an intriguing flavor. I never knew there was such a thing as black chickpeas! We do like chickpeas so I’m sure this would be a great dish for us. The spices you use sound like it’s a very tasty dish. I’m looking forward to giving the recipe a try. This sounds like a wonderful dish! Just enough spice and a little coolness with the yogurt. I’d love to try it! What an interesting dish…I’ve never had this before but I would love to try it! 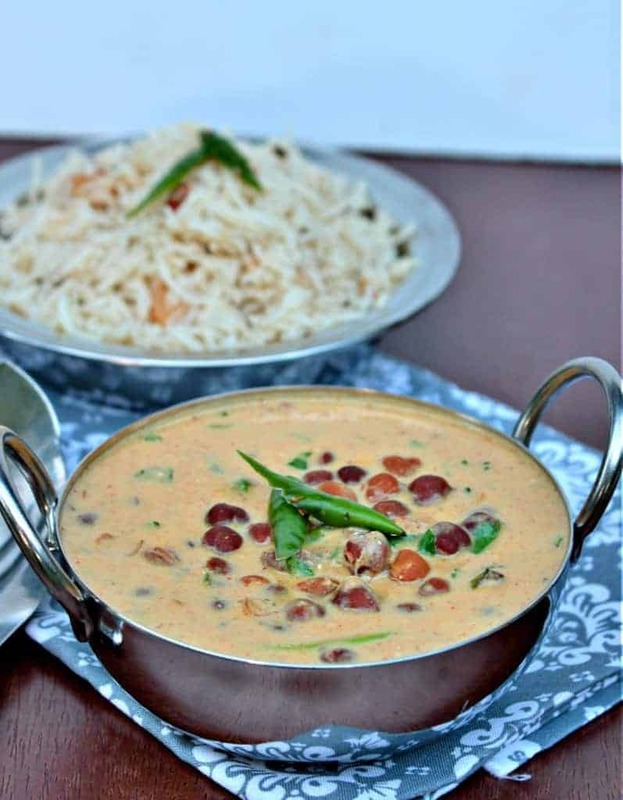 I love chana in yogurt gravy. 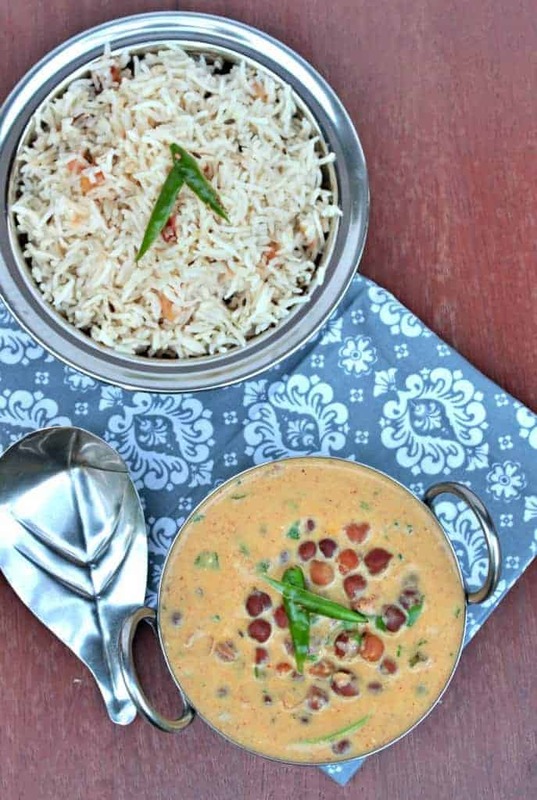 We Gujaratis too make this kind of curry to go with rice and toor dal. 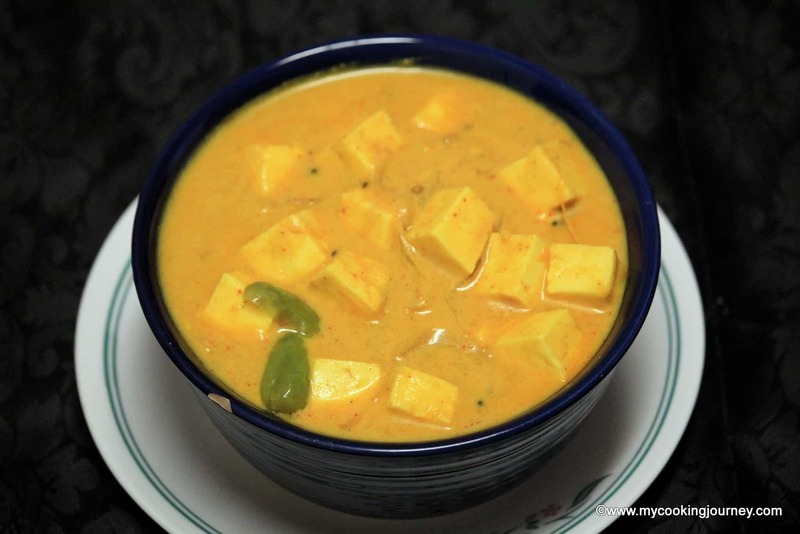 Looks very similar to the kerala famous kadala curry except that this is made with yogurt based gravy. Interesting recipe..
All in family love black chana, so I make it once in a week. 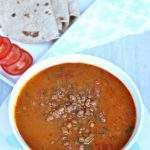 Surely try this tempting gravy with chana.